Estrogen – why do fertility patients need it? Estrogen supplements during IVF? They’re sometimes prescribed. And they’re essential for women receiving donor eggs, donor embryos or frozen-embryo transfers. So why do some doctors, and even the leaflets in the packs, scare fertility patients by claiming estrogen can be dangerous during pregnancy? It’s hardly the best news to give would-be mums. So here’s the truth about the role estrogen plays before and after fertility treatment. In assisted and normal conception, estrogen helps to grow and maintain your endometrial lining and sustain a pregnancy. It also helps your placenta function, boosts blood flow to your uterus and primes your body for breastfeeding. In an IVF cycle using your own eggs, FSH medication (e.g. Menopur and Gonal-F) creates multiple follicles. Estrogen production is then stimulated, causing the uterine lining to thicken. By the time of your trigger shot, your estradiol levels are sky-high. But let’s face it, IVF medication upsets your body’s reproductive rhythms. Some research suggests estrogen supplements late in an IVF cycle help improve pregnancy prospects by stabilising the uterine lining. Other studies say it’s not needed. Get your doctor’s view. Estrogen is most certainly needed during fresh donor-egg and donor-embryo cycles. Thickening your endometrial lining after your depot injection is mandatory. Depot injections down-regulate your ovaries, affecting your natural estrogen and progesterone production. Oral estrogen pills, typically 6 mg per day, are the norm. Their start date forms part of the synchronisation between your and your donor’s cycle. A lining scan at least three days before your donor’s scheduled egg retrieval (or day 14 or 15) gives you time to adjust your estrogen intake. If your lining is too thin, an extra 2 mg, or even 4 mg, may be suggested. Anything more than 10 mg may need Clexane support to thin your blood. Vaginal insertion of those extra pills is common: estradiol heads straight to your reproductive organs that way, not via your liver as oral pills do. You want a 7-mm lining, and ideally an 8-mm one, by your donor’s egg retrieval day. That’s the day you start your progesterone supplementation. Your lining won’t thicken any more after that. So what’s the deal with estrogen and FETs? Once again, estrogen is needed to grow your lining and keep it thick. Because a reasonably high dose of estrogen is taken from day 1 or 2 of your cycle in an FET protocol, the hormone actually prevents ovulation. So your ovaries won’t interfere with the embryos you put back in. But no ovarian activity means no natural estrogen. So, as for fresh donor eggs and embryos, you need artificial estrogen support until at least week 12 of your pregnancy. Your clinic should tell you how to reduce your estrogen (and progesterone) from the 11-week mark or so. Occasionally, patients just don’t respond well to estrogen pills. And women with a past history of cancer are sometimes told not to take them. In this case, embryo transfer during a natural-cycle FET may be best. You’ll take no estrogens at all from the start of your natural bleed. Then you’ll have a scan around day 10 to see if your body’s natural estrogen has plumped up your lining sufficiently. If it has, you’ll take a trigger shot to disperse any unwanted follicles and start your progesterone support a few days later. Embryo transfer is 3 to 5 days after that. Estrogen pills are commonly dispensed as Estrofem, Progynova, Provames, Climaval, Estrace and Estrimax. Patches – which not all clinics approve of – include Estraderm and Estrahexal. A combination of pills and patches is sometimes prescribed to patients with ‘lazy’ linings. As for side effects, expect a few – particularly if you take your estrogen orally. Mild symptoms include headaches, nausea, fluid retention, tender breasts, irritability and mild depression. A very small number of women risk more serious problems like chronic insomnia, stroke, blood clots and even ovarian cancer. But this is rare. 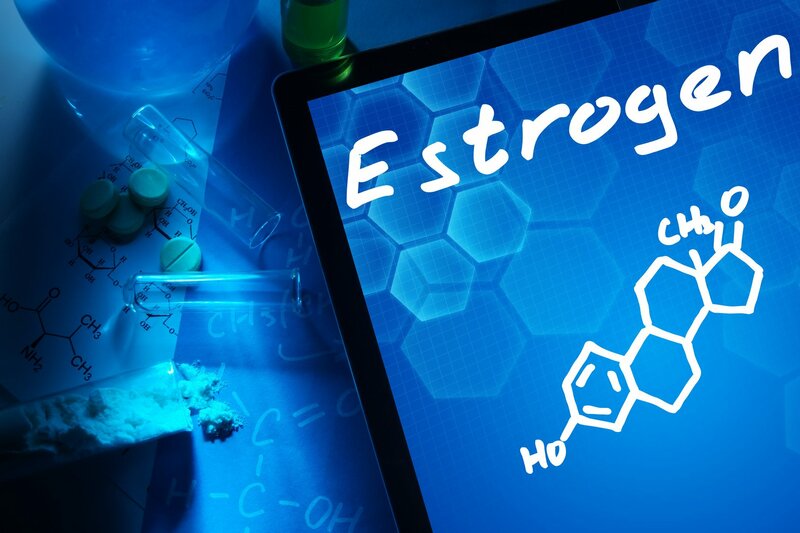 For most women, estrogen has positive effects. And for fertility cycles, it’s the gateway to a successful pregnancy. For the latest fertility news, tips and updates, like us on Facebook and follow us on Twitter. I had my transfer of fresh egg donor egg on 22 of March 2019. Doc. Prescribed 2mg 3 times daily, progesterone injection 100mg a day and progesterone 400mg pessaries. I only have headaches, little tiredness,salivary mouth for a day or two. In fact am just as healthy as I went to do the IVF with donor eggs. No serious symptoms of pregnancy. It this normal. Hi am taking Estradiol 2mg. My lining is now 6mm and I was advised to continue for another three days. My question is that what if my lining is over 8mm, would that be normal and will they still continue with the transfer. I just had a hysteroscopy after the doctor said that my lining is thin. So he recommends progynova 2mg, two times a day for one month. I was on estradiol tablets for almost 2weeks due to FET preparation but I stop as the FET did not take place. However, I have been waiting for my period and is overdue for almost 13days. Please is it normal to have such a long delay after having stopping estradiol tablets? I’m on Progynova 2mg, 6mg a day and I am 9 weeks pregnant, however I am vomiting 6-7 times a day not only morning but anytime including midnight. I believe it is Progynova that is causing me vomitting so badly I can’t eat anything not even drink water. So I skipped one pill and missed second Progynova for a day then I could eat for dinner first time.. Can I take 4mg rather than 6mg a day instead? Otherwise my baby won’t have rnough nutrition as I vomit so badly..
Hi I had my First IVF transfer with two embryos on Wednesday 28/11/2018, Today is my 2day ET but I don’t have any symptom can some help please or is it too early to complain? I did my EFT on 20/03/2019. First fresh cycle failed. Im on estrofem now 6mg. My test is on the 29th I can’t help it nerves are killing me. The last time I did not cope well with the negative result. Was negative .dr said ct estrogen and progesterone for another 3 days and rpt test in after 3days .today 20th day also beta hcg was negative. Hi,hv been on progynova 2mg too prayers for a successful pregnancy. at times I get cramping in the pelvic ..
Has anyone experienced this ? Hi there!I had my son thru IVF.I was spotting after 3th week,for a 2 weeks.My Dr.told me that is normal in some women .And joint pain is normsl as well.Your body is adjusting to pregnancy.I had shooting pain in my pelvic,it was expanding. Ii am on progynova 2 and on day 12 i was suggested for TVS but i started bleeding. I have gone through ivf cycle with donar eggs and it is positive. My doctor advised me to take estradiol 24 mg daily but by mistake I was taking 12 mg daily. Just today I came to know (6 week 6 days) pregnant. I am worried and afraid will it harm my fetus. On successful IVF OD(at present) 6 weeks,doctor have told to continue for 3 more weeks & then to stop,what side effect I can expect on stopping? Hi, I just finish progynova, ovaries are resting, no cysts and the endometrium is 5 mm, good news i will start tomorrow the stimulation. However, last night i have small cramps, is it normal? My wife is currently taken 4 tabs of estrofem per day the thing is she took it today 8 hours earlier!! Plz help what to do? I had my FET on 23rd Sept.. doc prescribed me 4mg PROGYNOVA thrice a day, duphaston 2mg twice a day, Susten- 400 vaginal BD.. also sustem 100 mg inj alternate day… moreover taking folvite & ecospirin once daily…Need to have 2ww for beta HCG… NO symptoms of pregnancy till now, is it good or not good ? Heyy Hii i m going through same phase had my Fet on 11th Feb n my doc suggested same Medicn which u hav told Plzz let me know wat happen to u I mean u got positive or??? Hi..i am prescribed with the same meds. I am under 2ww. What is your outcome? Hi I have been taking estradiol 2mg since my IVF Transfer. I have cramps and tender breast. I was hoping that this was a sign that I am pregnant. Can someone help me. I go for my 2 weeks test on the 19th to see if I am. Could these just be symptoms? I read that they could be due the estradiol and progesterone. They both have similar side effects and could be the same as pregnancy symptoms. donot worry n dnt keep guessing whtr u vil get ur prriod or u r pregnanat..because both symptoms r d same…so just relax n enjoy ur self n be happy.. I am due to have a FET on the 11.08.17. I am having this done overseas however I’ve took 12mg of estrofem for the first two days then 8 mg on day 3, then 2 mg on day 4 and then 6 mg therefore. The doctor did not prescribe me 12mg at once I made the mistake of taking 6 tablets instead of 6mg. I am still planning on going ahead with the transfer. Anybody with any such experience of a high dosage at the beginning? Should I be scard? I’m still breast feeding my baby who is 1year old. Will estradiol affect my baby if I get 6mg/daily? Thanks for explaining the side effects of estrogen. Make me feel much better that it is actually ” normal” the way your body sometimes feel. Thanks for sharing it very informative. I am on 6mg Estrofem a day which will continue the next 2 weeks until my next visit at the IVF clinic. I do however feel very sick from the pills. I have vomited 3 times today and feel very sick. Due to circumstances I cant get in contact with my IVF clinic. Is this normal and should I continue to take the pills – I really dont feel like taking anymore pills right now. I’m on Progynova 6mg a day and I too thought that was what was making me so sick and asked my dr to switch me to the patches. However she says I’m at too delicate a stage to switch (9 weeks) so I’m having to resort to keeping taking it and taking anti sickness tablets instead. I have to say I really felt like the Progynova was the issue and my friends who used patches said they were never actually sick (whereas I’m vomiting violently twice each morning). yet another example of something I wish I had known BEFORE I started treatment as sounds like I could have gone onto patches if I had raised this earlier. Hi Kylie. I dont have an answer for that. I was on 6mg/day, and now I’m on 4mg/day of Estrace. I just wanted to tell you to hang in there and I hope all goes well for you during your transfer. I wish you the best and stay positive. Good luck. Hi, my doctor has subscribe me progynova 2mg, 3 times a day. I was reading the side effects and some of them was breast or ovarian cancer, stroke or heart attack. This has really scared me from start taking it and the doctor did not even explain this to me or did not even asked for my previous medical history. I saffer from panic attacks. Should I take them ot not? It is only when a patient is consistently exposed to estrogen that the risk of endometrial cancer or cardiovascular side effect increase. Occasional exposure as the case in an FET cycle may not warrant panic. However you are correct that your doctor should have allayed your fear by pre -empting your question. Relax and continue your medication. I’m sorry you have gone through so much. I see your post is from February. I’m just curious to know how things have gone for you? I hope all is well. And I still wishing you the best of luck. Thanks – this has really helped me as I started taking progynova orally on 31/12 and my clinic has been closed for the holidays. Once they reopen tomorrow I’m going to request a not oral version, hopefully this will help with the headaches & tears! This is clearly explained and really cleared out any worries I had. The ERA test – does it really work? Should I transfer one or two embryos? 5 IVF tips.